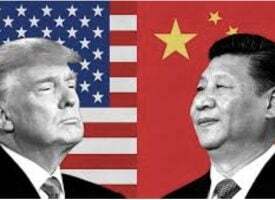 Today one of the greats in the business spoke with King World News about the big picture as currency wars continue to rage and what this means for gold. 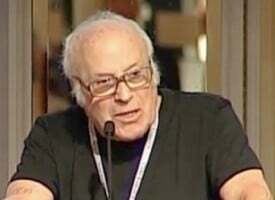 He also took a step back to look at the big picture for gold what is moving the metal of kings at this time. 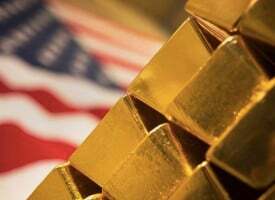 James Turk: “Looking at the gold market from over here in Europe, Eric, you get a different perspective than one gets by being in the United States…. 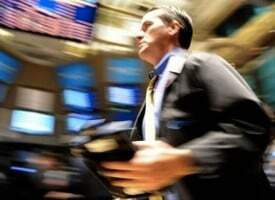 “Over on your side of the pond, after today’s close, gold is down -1.6% for the year. Obviously that’s not a great result, but the first quarter is not even completed yet. So we still have a long way to go before we start measuring this year’s performance. But that’s only the price of gold in terms of US dollars. Here in London, when you look at the price of gold in terms of British pounds, year-to-date gold has risen +1.6%. That’s not a bad start for the year. But the big surprise is when you look at the gold price when viewed from any of the 19 European countries using the euro. Believe it our not, when measured in terms of euros, so far this year gold has jumped +10.1%. That’s a remarkable result, and clearly illustrates the reason for owning gold. 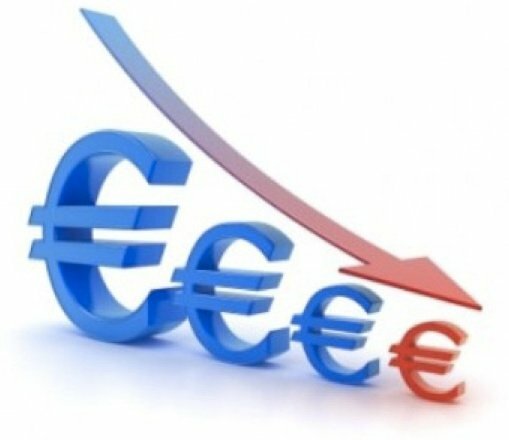 When a currency gets in trouble – and the euro is in trouble – the price of gold in terms of that currency rises. Gold is performing its safe haven role as the euro gets pummeled. How Bad Is The Outlook For The Euro? So how bad is the outlook for the euro? There are a number of ways to answer this question, but here’s mine and I think it is the most telling: We all know how bad the outlook is for the Japanese yen. The Japanese prime minister, Mr. Abe, and his cohorts are doing everything they can to weaken the yen. 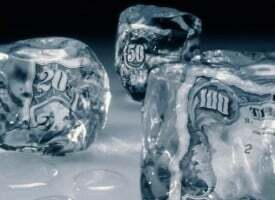 The central bank is printing money as fast as it can with its relentless quantitative easing. 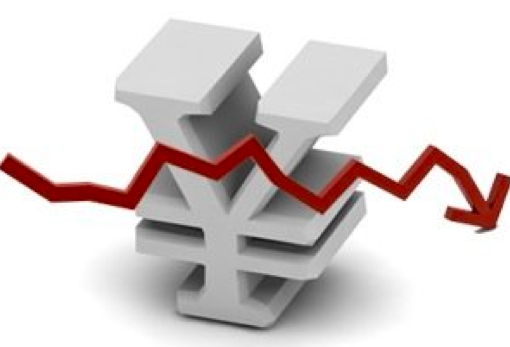 By destroying the yen’s purchasing power, they are in effect lessening that government’s huge debt burden. In other words, people who loaned yen to the Japanese government are getting in return a lot less purchasing power, even when taking into consideration the interest income earned. So the outlook for the yen is pretty dire. And it will therefore speak volumes to compare the euro to the Japanese yen. 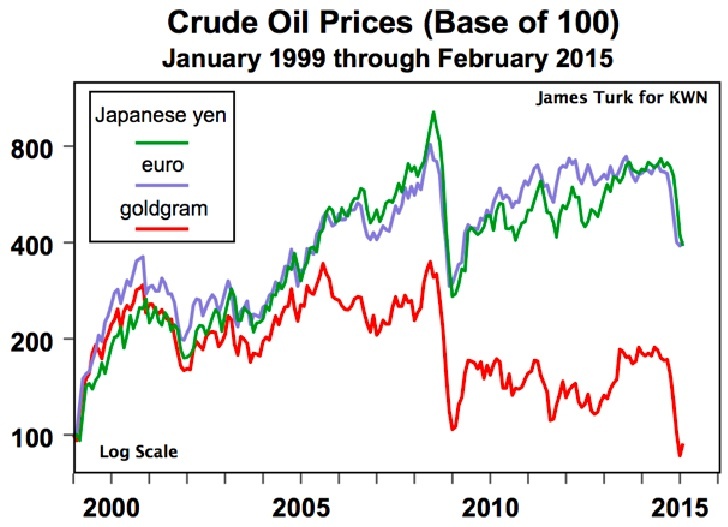 I do this in the following base-100 chart measuring crude oil prices in three different currencies – the yen, euro and gold. The chart begins with the commencement of the euro back in 1999. Look how closely the yen and euro are correlated. If you think the yen is being destroyed by the policies of that country, then it is important to see that the euro is following the same path. This horse race is neck and neck. It is simply too close to call which currency will be destroyed first. 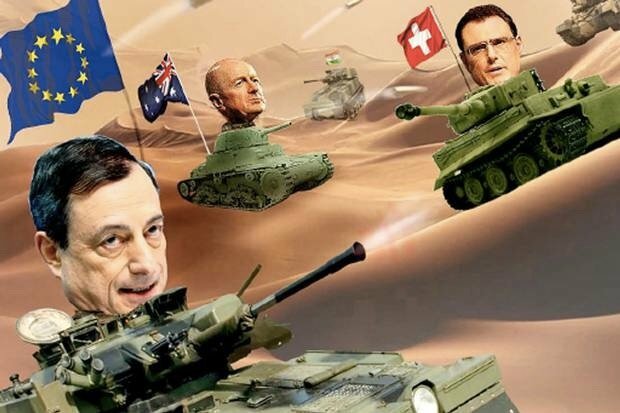 Currency Wars – Who Will Win The Race To The Bottom? I had thought that the yen would reach the fiat currency graveyard before the euro. 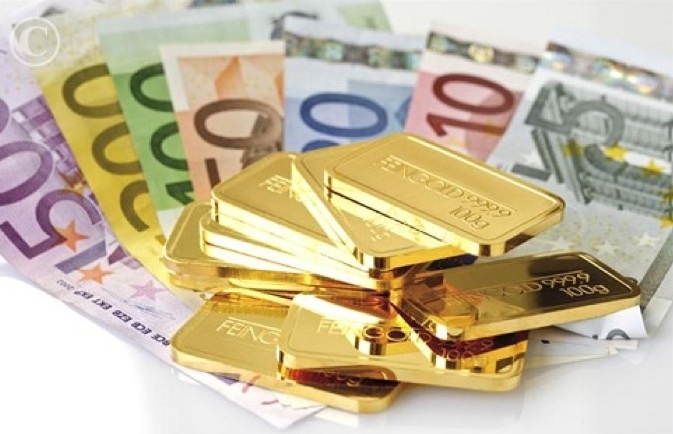 But given the new quantitative easing program the European Central Bank begins this week, the euro could be the winner of a race no one who owns euros would want it to win.” ***ALSO JUST RELEASED: A Terrifying World Of Bubbles, Geopolitical Chess Moves – Meanwhile, Where Is The Gold? CLICK HERE.